Health Savings Accounts or HSA's can give you big tax advantages while helping to cover your medical expenses. Choosing a good HSA will also protect your savings for your retirement and allow you to grow your savings tax-free. There are hundreds of HSA's out there, understanding how to find the best one for your current circumstances is the key to getting the best one. Many factors will come into play, including the 7 key points outlined below in how you can identify the best HSA for yourself, or make a choice between a few if you are having trouble deciding. How easy it is to manage and access your Health Savings Account. Will the account provide you with a debit card? How you will use the money. Obviously, the idea is to use the money in a health savings account for your healthcare/medical expenses, but the amount you expect to actually use every year, and your spending pattern will dictate how important some of these other factors are. Investment options: Can you invest 100 percent of your money or only a portion? Will you be using your HSA for savings? Will your HSA be primarily for spending? Companies like Morningstar provide valuable insight into the best HSA's in an annual report. We've outlined their top HSA account choices below. Because there are hundreds of HSA's out there to choose from, their top HSA picks are based on assessments of the 10 largest HSA plan providers. Typically people looking for HSA's that are good for spending will be looking to use their HSA like a regular bank account to pay medical bills. Therefore, the interest rates being paid on the "savings" would not be the driving factor in finding yourself the best HSA. In this scenario, you will want an HSA that has lower to no monthly account fees, functions very much like a chequing account and ideally allows you to use a debit card to pay your medical bills. In scenarios where you expect to maintain a specific balance, then an account that offers a fee waiver when you maintain the minimum balance could work for you. According to Morningstar's 2017 Health Savings Account Landscape Report, the following were the top HSA's offering chequing accounts for spenders and that had no monthly account fees. Choosing an HSA for spending but placing your focus on the interest could cost you a lot of money. If your HSA is not going to have high balances, then the impact of the interest rate will be countered by your monthly fees and may cost you more. For example if you have $2,000 in the bank, and you pay $54 in fees annually for an account with "interest" but you only make $2 in interest on your balance after a year, then you've actually lost $52 on that account, versus a no interest, no fees account, where you would at least get to keep all your money. The top HSA for Savings as ranked by Morningstar was Health Equity, it was the only one of the HSA accounts that scored positively in all areas: Menu Design, Investment Quality, Price, and Performance. 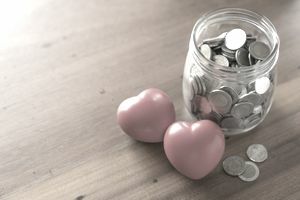 Comparing this list to the list of the top HSA's for savings shows how the way you intend to use your account changes which HSA is the best for you. HSA's being used for investments and savings will offer you investment options. Some people may think that the one with the most options is the best, however, having too many options may be confusing, It is important to also assess for yourself how easy the menu options for investments will be for you to understand and navigate. HSA's when used as planned, offer more tax advantages than 401K's, Traditional IRA's, Roth IRA's or 529. A good HSA will provide you with the most spending power for your dollar. HSA's give you the opportunity to deposit, save and spend the money tax-free, which increases the buying power of your dollar. When you get into using your HSA for investing and savings, you have the opportunity to grow your savings tax-free as well. Are You Making the Most of Your Health Savings Account? What Does Nursing Home Insurance Cover and How Much Does It Cost?